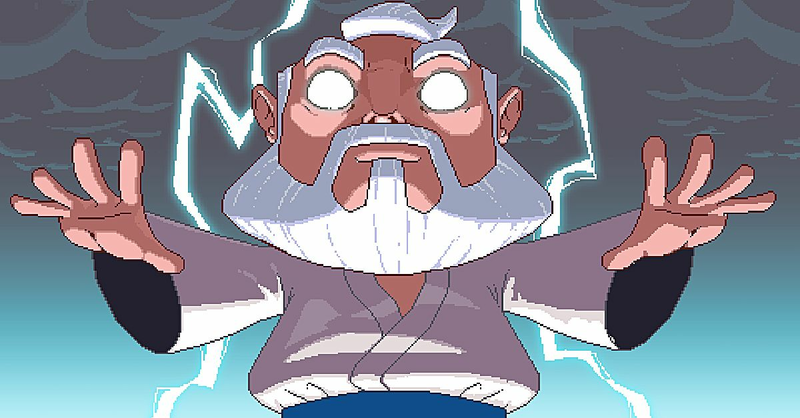 You've always secretly wanted to be god, right? 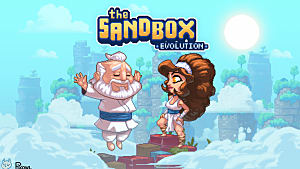 If Minecraft or Terraria didn't quite scratch that deific creation itch, then The Sandbox Evolution is here for you! 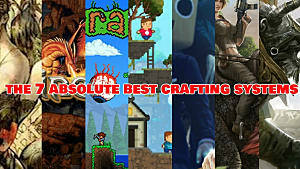 It's one half old school platformer, one half god-mode pixel universe creation kit based strongly around Microsoft Paint. 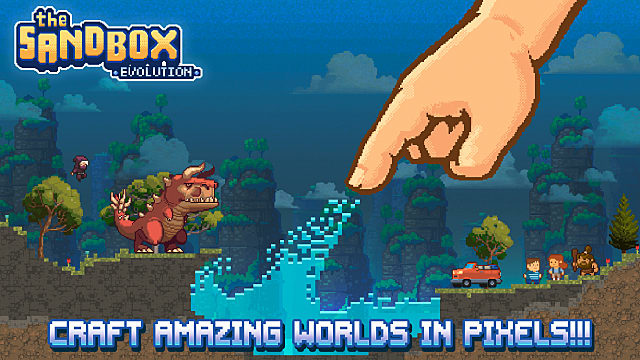 This upgrade of the original Sandbox game would definitely be considered a freemium app, in that you can absolutely play levels and design interesting and unique worlds at no cost, but if you want all the different object types to play with, you'll need to devote a lot of time or pull out the credit card. Be the almighty creator of your own universes! When you do decide to devote all that time, though, there's some breathtaking landscapes you can create, from jungles to fully functional machines with working lights. After creating your masterpiece, be sure to share your world online or even try your hand at making a full-fledged level for other people to play. 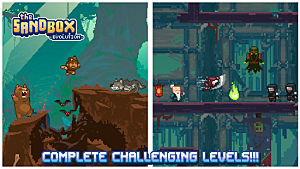 Turn about is fair play, and the levels other users have come up with are available to test out on your own. Haven't tried the game out yet? 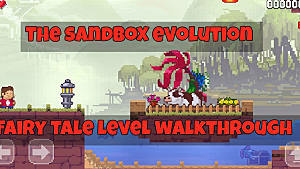 You can nab The Sandbox Evolution on Android devices right here or the iOS app store here. For those new to the game, we're going to cover the basics of how to create your own custom world in Sandbox mode. Before you fully dive into your new role building a world as god, you are probably wondering about unlocking better plants, substances, animals, people, heroes, full levels, etc. That all requires the in-game currency of mana and karma. 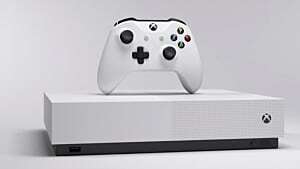 It does require quite a bit of time and patience to unlock every Basic, Natural, Game, Art, Tech, and Human object without spending any money. But I suppose that's half the fun of the game! The starting selection is limited, but it will quickly grow as you play! How do you earn mana and karma without dropping down real world cash? First up are daily quests -- playing levels of varying difficulty created by other players. Be careful when playing user-generated levels though. A surprising number of people go out of their way to make genital shaped objects across their landscapes. If that's not your cup of tea (or the current crop of daily quests are too hard), there are achievement-style missions to help round out your coffers instead. 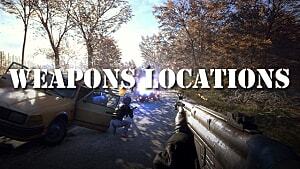 There are a ton of missions covering all sorts of activities. 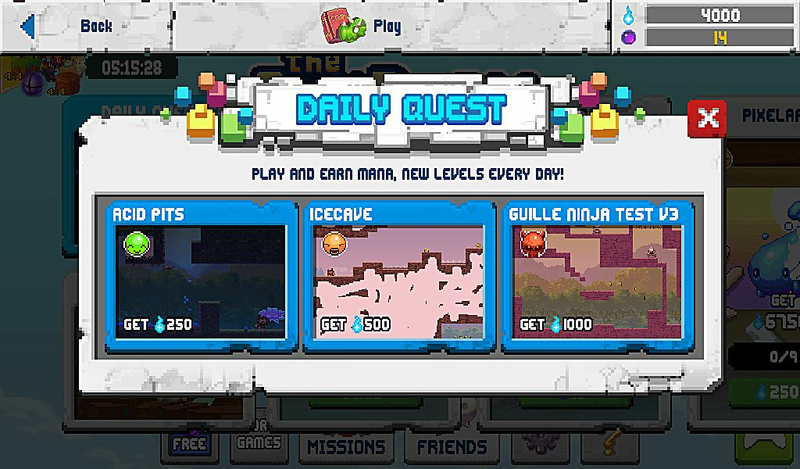 Even working in the Create World section for five solid minutes unlocks 1,000 mana, so check the missions list on the main menu screen to see what you can do to get more currency if you are running low and want a specific element. Finally, as with many freemium games, you can of course unlock a limited amount of mana/karma simply by watching ads for other games (and by watching ads, we mean hitting play and then walking away for a minute to make a sandwich). 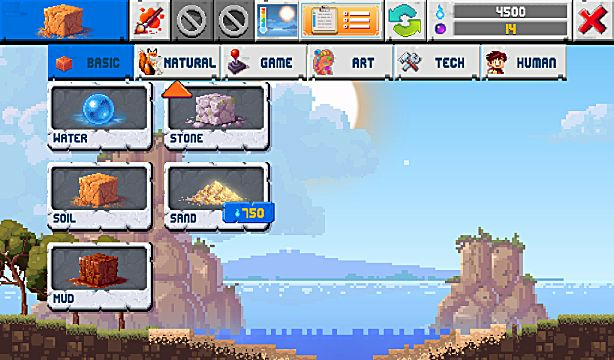 Now that you've got some mana to unlock the cool elements, it's time to get started in Sandbox mode. 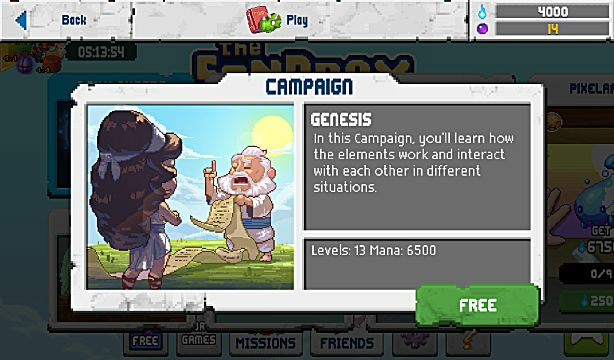 Resist the urge to simply start building immediately and make sure to play through several of the Genesis missions, as the creation tools aren't going to make any sense at the beginning. For instance, dragging your finger across the screen sets down your selected element, while two fingered dragging moves the screen position. Don't forget this important distinction, or you could easily ruin your creation accidentally! You'd better read Genesis if you want to be an effective god! How elements interact can also be confusing if you don't know what to expect. Rather than setting down objects block by block in specific locations, you create terrain or objects by mixing different elements together. For instance, if you sprinkle water over or next to dirt, you get mud, whether you wanted mud there or not. Likewise, mixing stone and water makes sand. Simply putting elements together isn't always enough to get the desired terrain type though – temperature and even time of day can have a big impact. For instance, turning the temperature all the way up will evaporate exposed water, turning it into steam. Changing the temp all the way down while steam is in the air will create snow, and so on. Think logically to get different terrain types and build the world you want: fire applied beneath an area containing ice will turn several layers of pixels into water. Remember that terrain can be deadly though! Obviously you don't want lava flowing across your critters or cave men if you want them to stay alive. By figuring out the correct combinations, there are clever ways around buying more elements like ice and glass. Want a specific shaped block of ice? Create a metal container, fill it with water, and then change the temperature to cold. Voila – ice without having to buy it. For glass, fill a container with water and stone to make sand, then turn the temperature to hot. The electricity element powers non-organic objects like light bulbs and signs. 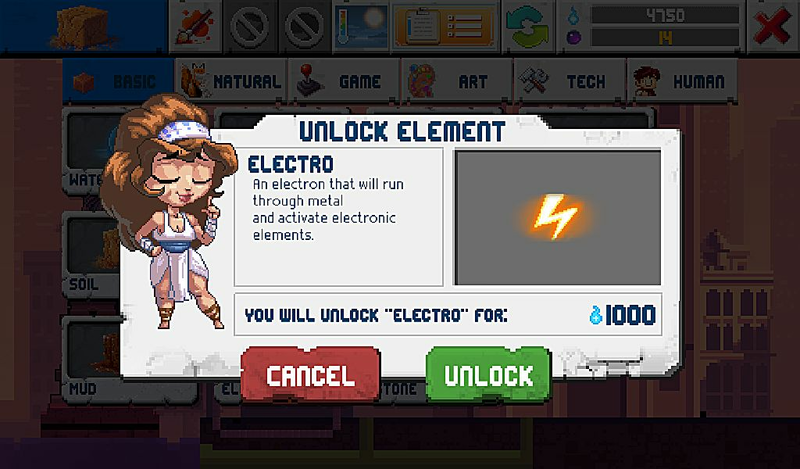 You can make electricity without actually unlocking that element by putting acid in contact with metal. Nearly every element has a similar workaround that can be puzzled out just by thinking about how different substances are made. Why spend mana when you can use existing elements for the same effect? 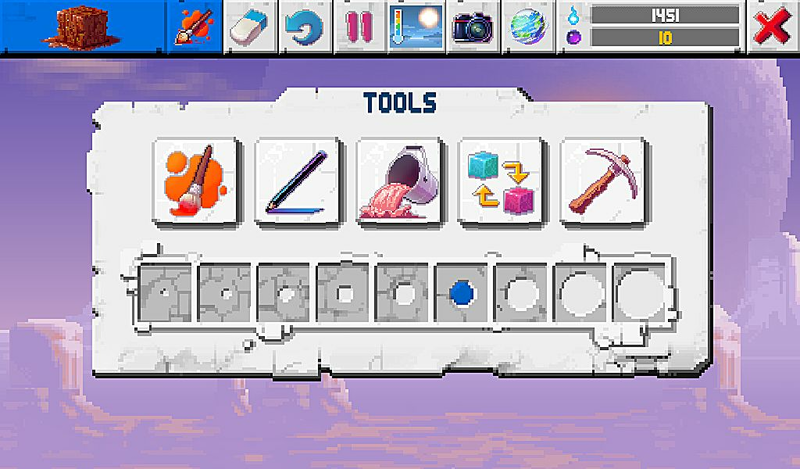 Sandbox mode comes with five different tools for creating and destroying your world: the paint brush, pen, bucket fill tool, replace tool, and pick axe. For the paint brush, think in terms of squares but without any actual cursors there to show you where you will be directly affecting areas. 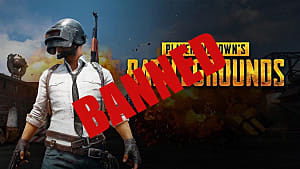 In essence, every element you are dropping with the paint brush is like the spray paint tool in Microsoft Paint – it's not going to affect just one pixel at at time, so be careful and aim slightly away from where you are going. The same goes for the pickaxe, which lets you make tunnels in your terrain. When trying to make a tunnel to avoid enemies or acid obstacles, start a little below where you think you are tapping so you don't accidentally open up a dangerous area. You can also change the thickness of any tool – including the paint brush and pick axe – by using the radio buttons at the bottom of the screen if you want finer detail. Another option for precision work is the time saving bucket fill tool – but just like in those glory days of Paint, make sure your container or terrain area is actually closed and doesn't have any open pixels spilling into the outside area! Did you mess up a piece of terrain or accidentally put too many pixels of an element? Use the undo button (in create mode only) or the eraser mode. Unlike the pickaxe, the eraser option doesn't just delete a pixel and keep the object above it stationary though – objects will fall when you erase. 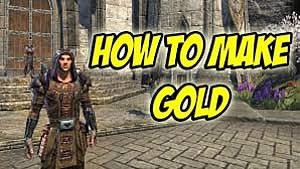 That's the basics of all you need to know to start creating and sharing your own epic worlds filled with icy vistas, lava-bursting volcanoes, dank caves, or even high tech cityscapes. Be sure to share any Sandbox tips and element workarounds you've discovered in the comments! Stay tuned as we cover creating your own video game levels inside Sandbox Evolution and explain how to beat the other levels created by innovative players!